A sniper from the Mobility Recce Force of 1 Royal Welsh, aims his L115A3 rifle on a Reassurance Patrol north of Patrol Base Wahid, Nad-E’ Ali, Helmand. The patrol had successfully partnered with a platoon of Afghan National Army soldiers for the patrol. 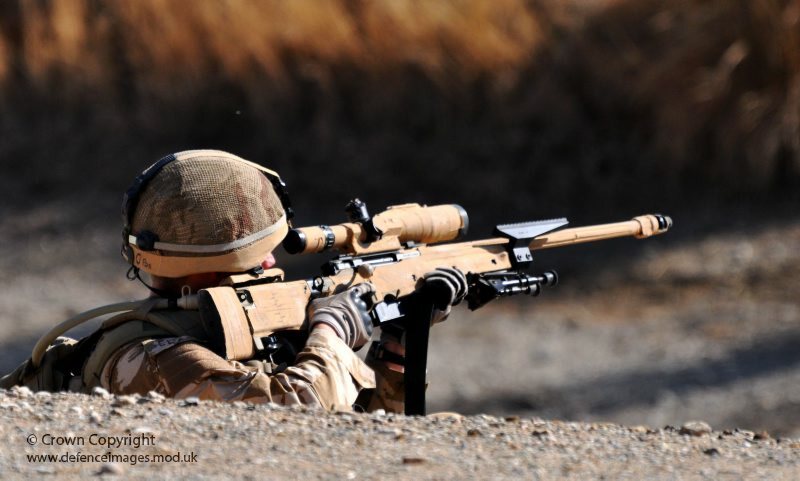 The L115A3 rifle, part of the Sniper System Improvement Programme (SSIP), is a large-calibre weapon which provides state-of-the-art telescopic day and night all-weather sights, increasing a sniper’s effective range considerably.